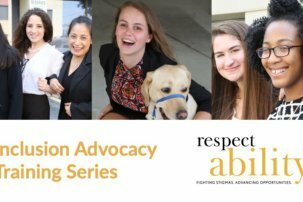 Learn about The Jewish Federation of Greater Washington’s Disability Inclusion Planning Toolkit, an interactive online tool that provides a roadmap to help all organizations advance inclusion of people with disabilities. 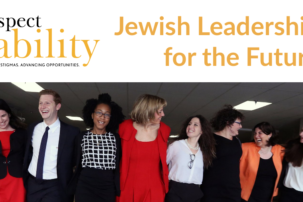 Recognizing that we must be a welcoming and inclusive community for all by expanding the ways in which individuals are invited and encouraged to participate in Jewish life, Federation developed an Inclusion Planning Toolkit to help all organizations on their journey to full inclusion. The toolkit is designed to be used as a fluid, developmental guide to assist secular and non-secular organizations through every stage and area of the inclusion journey, ranging from attitudinal changes to physical accommodations. 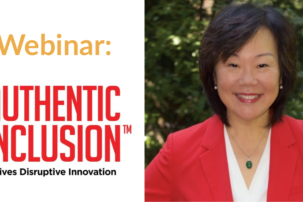 Made up of two components—the Discussion Guides to spark conversation, and the Self-Assessment Activities to generate a Customized Resource Package—the toolkit is intended to build a collaborative environment around the topic of inclusion. We recognize that while each organization may be at a different stage of this journey, progressing towards full inclusion strengthens our entire community. Lisa Handelman is the Community Disabilities Inclusion Specialist at The Jewish Federation of Greater Washington Department of Jewish Life and Learning. Handelman has worked in Jewish education and inclusion for over 20 years, including leadership roles at the Yeshiva of Greater Washington, SULAM, CESJDS and at Capital Camps where she designed and led the nationally recognized inclusion-based program for the past 13 summers. Lisa’s commitment to inclusion in is based on the proposition that inclusion benefits and strengthens the Jewish community.